He was super-sweet and a great sleeper, with beachy blonde hair that would make Gwyneth Paltrow jealous. Such a pretty skin tone as well. I love his name, it is so classic and a little tough-guy. One of the things I love about newborn photography is capturing this new dynamic with mom, dad, and baby. I also love babies in and of themselves, of course. (BABIES = MY FAVORITE THINGS). Along with giving birth, I think parents (yes, dad, too) give birth to their “parent self'”. You are forever changed. There is no experience in this world that will ever compare to welcoming your baby into this big world, (in my opinion). It’s monumental. All of a sudden, you see the big picture so clearly. A new purpose and fresh perspective. Remembering back, I had such a newfound appreciation for my own parents. Sadly, my dog lost his ranking and I felt guilty. (RIP, Echo, you were the first baby, I promise). I wondered what on earth I did with all of my time before the baby came along. Surely, I had so much time I could have volunteered to make the world a better place, for several different charities. Mom and dad are all of a sudden on this newly created “team” together. Team “do the best thing for our baby”. When you figure out ways to make this new little puzzle of life you brought home content, it bonds you together. It’s remarkable to watch parents like these two work together to make the small things go smoothly during their newborn photography session. Those that are in sync with each other and are extra kind to each other during those tiring first weeks make me smile. When I can get some of that emotion in-camera, those are my favorite captures. 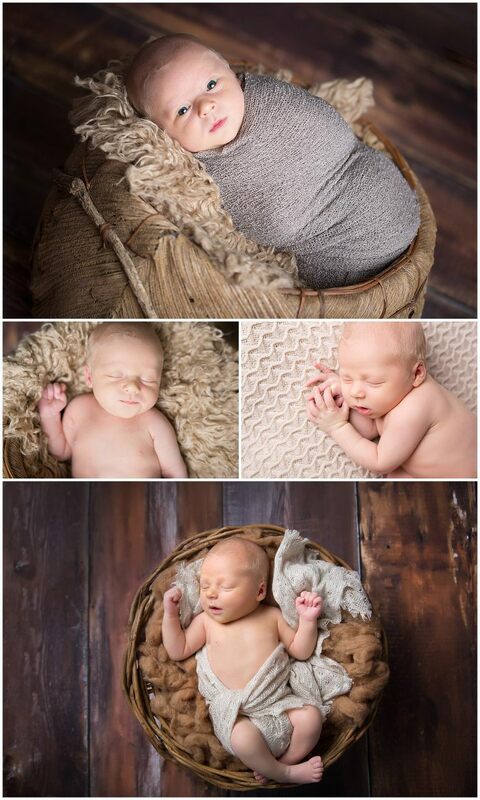 Brock’s mom chose neutral tones and wood backdrops from his session. I am loving this rustic wagon by TFJ Designs. 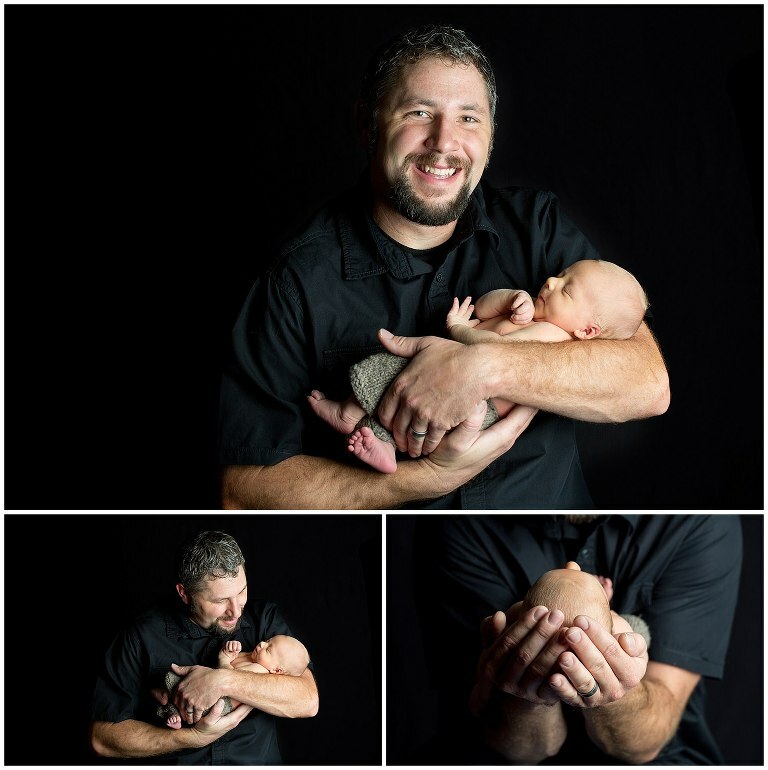 Captures in Time Photography is a studio specializing in newborn, maternity and baby photography. 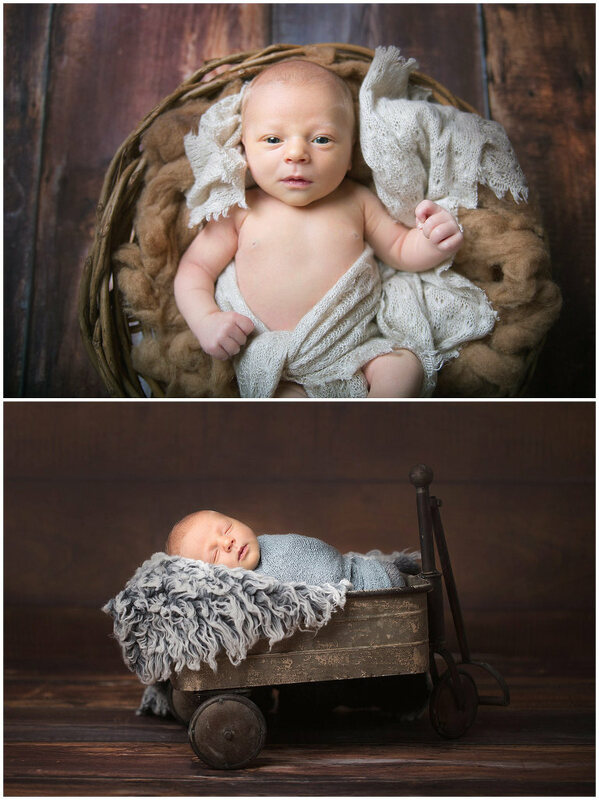 Melissa Pfannenstiel is one of Kansas City’s finest newborn photographers and is committed to providing her clients with beautiful images. Find out more information on how we get you involved in the session styling process here.